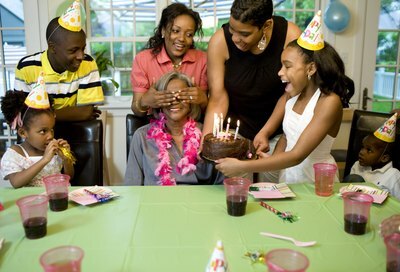 Whether you’re giving a speech to commemorate the 60th birthday of a friend or family member, write one that salutes, supports and shows your appreciation for the guest of honor. Pay homage to the milestone event with a speech that not only suits the birthday honoree’s personality but also the theme and tone of the festivities. 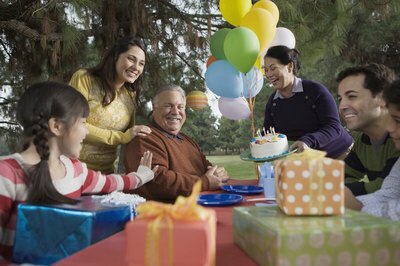 If you’d like friends and family members to participate in your salute to the guest of honor, conduct the birthday speech when the guests are seated and waiting for the meal or enjoying the birthday cake. Write a speech that encourages group participation, such as “60 reasons why we appreciate you” or “60 reasons why you’re impossible to forget.” Get the crowd started with your top 10 reasons, and then encourage loved ones to take turns adding their thoughts. If desired, bring a piece of poster board and marker as you give your speech and write the reasons down as a memento for the birthday honoree. Take a nostalgic look back at the guest of honor’s life with a speech that touches on the past six decades. Discuss each stage of the birthday honoree’s life, including details on where he was living, what he was doing, what his aspirations were and what he accomplished in each decade. If possible, invite six guests, one from each “phase” of the guest of honor’s life, to discuss what he was like during that 10-year period. 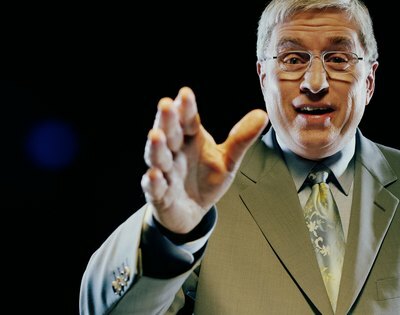 If you’ll have audio-visual equipment available, accompany your speech with graphics that showcase photos of the 60-year-old from each decade. Give the speech a humorous slant by revealing images of the guest of honor’s embarrassing hair and clothing styles throughout the years. Take a cue from a web site such as Speech-Topics-Help.com and give a speech that discusses the guest of honor’s future as she approaches her 70th birthday. 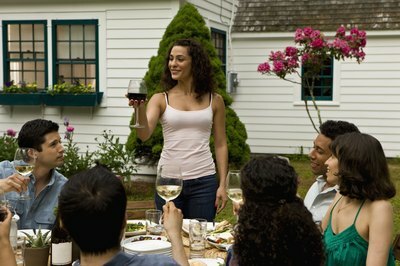 Discuss her hobbies, upcoming vacations, favorite restaurants, classes or volunteer efforts, for example. Invite the guest of honor’s friends to step up to discuss the new adventures they can embark on together and why they hope to spend time with her in the coming years. With 60 years behind him, the guest of honor has undoubtedly contributed love, support and assistance to his friends and family members. Use the speech as a reason to express your gratitude for his influence on the lives of his significant other, children, siblings, friends and neighbors. Provide specific examples of how the lives of loved ones wouldn’t have been the same without his presence. You can also add a whimsical touch to the thank-you speech by giving tongue-in-cheek examples of how occasions might have been better if he’d not been there, such as the time he burned the Thanksgiving turkey or locked the keys in the house for the 10th time.